The latest sign that Hazelwood is rising again: A new Hazelwood Center, with a new Carnegie Library and educational facilities for the neighborhood’s youngest children, opens June 21 at 5000 Second Avenue. Hazelwood has seen new housing recently, and its Almono riverfront office and residential development has made progress. 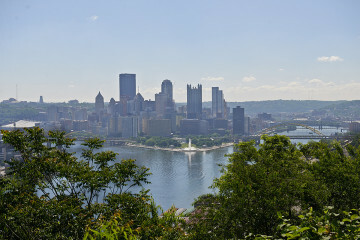 Now the Hazelwood Center will not only double the local library’s space, it will bring together programs from the Pittsburgh Association for the Education of Young Children (PAEYC) and the local Head Start at the Family Support Center of COTRAIC—the Council of Three Rivers American Indian Center. 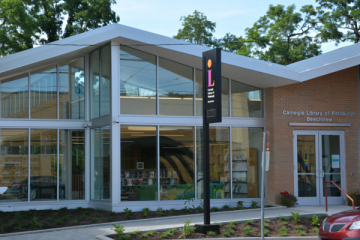 “It’s going to demonstrate, on the part of a number of agencies, that people are committed to this neighborhood … that it matters and people see the value,” says Mary Monaghan, assistant director for neighborhood libraries at Carnegie Libraries. The new center will “make sure all of Hazelwood’s children have the highest quality early learning experiences,” says Cara Ciminillo, PAEYC’s director of operations. 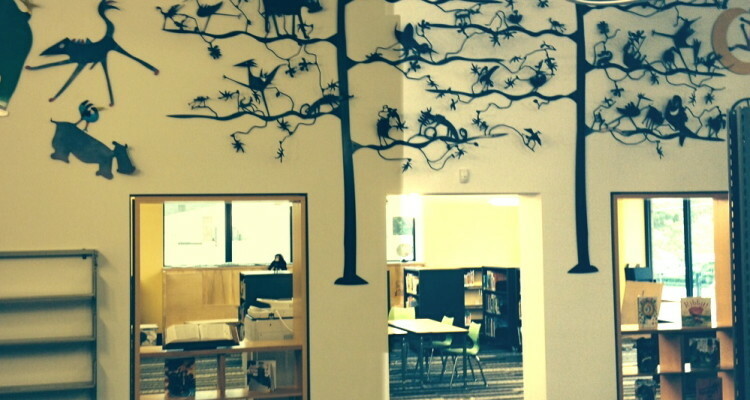 The new library facility, on the building’s second floor, will also feature a separate children’s room, decorated with a large metal art piece by Homestead artist David Lewis: a whole wall of animals amid the trees of “Hazel Woods.” “It’s great we’re going to have a space for kids to come and be kids—to play and read and have fun,” says Monaghan. The new library also has Wi-Fi, a special teen area and meeting rooms for the library’s programs and for community use. Carnegie Libraries has been trying to move its Hazelwood branch to a better location for a decade, since leaving its original 100-year-old building on a Hazelwood side street, Monongahela Avenue. It rented 4901 Second Avenue, figuring on being there temporarily until they could find a more prominent, permanent home. “Ten years passed,” says Monaghan. “Things never move as fast as you think they would.” Then the Heinz Endowments stepped in, she says, offering to buy and renovate a better space if the library would partner with other groups to aid the neighborhood. Just being in a more visible location should help increase library use, she adds. It had “skyrocketed” in the rented location; “I think in this new space that’s going to continue,” she says. Using a grant from the Richard King Mellon Foundation, PAEYC’s Early Learning Hub in Hazelwood will bring the organization more deeply into Hazelwood. PAEYC provides professional development to early childhood educators, which means trying to reach Hazelwood’s child-care professionals. The neighborhood has many of the smallest child-care places, Ciminillo says, since extended families or relatives and neighbors are typically pulled into child-care duty. “They may or may not see themselves as an early childhood educator,” she says, “but we want them to be.” For starters, PAEYC plans to duplicate their Homestead efforts, instituting weekly “Come Play” events for these smaller child-care providers. “They get to be together as professionals while the kids get to play together,” she says. The Hazelwood Center’s grand opening, 10 a.m. to 3 p.m. on June 21, will feature a ribbon cutting, building tours, the Imagination Playground, a 3D printing demonstration and a gadget lab for teens, along with performances by The K.R.U.N.K Movement, Center of Life Jazz Band and Zany Umbrella Circus.